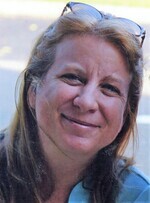 Margaret Mary Connolly, 52, a resident of the Bronx New York and Delray Beach Florida, died October 1, 2018. Margaret was born on Flag Day June 14, 1966 in New York NY to Thomas and Rita Connolly. As a child Margaret always thought the flag flew in her honor for her birthday. Margaret attended St. Benedict’s Grammar School and Preston High School in the Bronx. She received her associate’s degree in business from Westchester Community College in Valhalla. In recent years Margaret enjoyed reconnecting with her old classmates at the many recent class reunions. Margaret cherished her lifelong friendships. Margaret was a beautiful soul. She was smart, kind and so much fun to be around. Margaret could make you laugh to the point of tears. She was a free spirit and was always up for an adventure. Margaret loved the NY Yankees, NY pizza but she did not love the NY winters. Margaret is survived by her brother Thomas Connolly, her sister Maureen Doddy, her brother Michael and his wife Elizabeth and her sister Eileen Connolly. Aunt Margie was a very special aunt to Caitlin and Jack Doddy and to Mary Kate and Michael James Connolly. Margaret adored her nieces and nephews and she will hold a special place in their hearts forever. Margaret was loved by so many and will be missed by her many loving cousins, her dear Aunt Catherine Began and her many friends and supporters in AA.